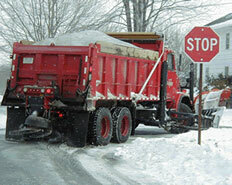 Petruzzelli Bros. features snow removal supplies for businesses and homeowners alike. 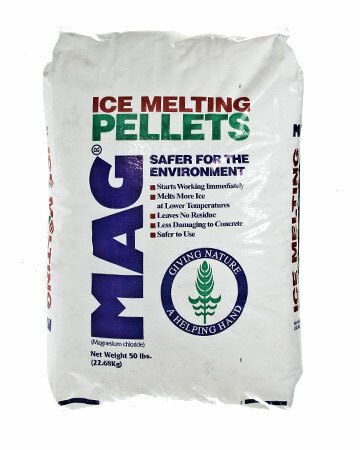 Rock Salt sold in BULK or Calcium Chloride bags for your convenience. With a Pick Up friendly machine and certified scale, it is easy to come in and out at our convenient location on Shrewsbury Ave.
Our equipment consists of plowing trucks, heavy machinery, snow blowers and ice control spreaders. We subscribe to a state of the art weather forecasting service that specializes in local forecasts so we always know what the weather conditions are in your area. Never be caught unprepared again. At Petruzzelli Bros we understand how costly and serious a lawsuit can be. That’s why Petruzzelli Bros. snow plowing and snow removal services are designed to keep your home or businesses’s sidewalks, drives and pathways safe for cars and pedestrians alike. Don’t let your business get left on the sidelines just because a little snow is on the ground. 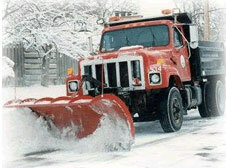 Snow Removal, Ice Removal, Snow Plowing. We Do it all. The next time a winter storm rears its ugly head you will be glad you did.